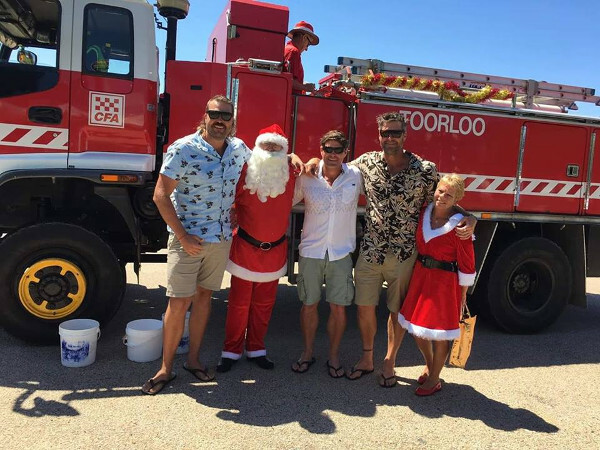 Santa is a great tradition at Lake Tyers Beach but it does depend on Santa and his helpers. Many families turned up and joined in the spirit of the morning. We should be thankful to Santa and his crew for the friendly, welcoming atmosphere they provided to locals and visitors alike. Keep up the good work guys and have a merry Christmas and great New Year!!! Like to see previous year's Santa visits at LTB? Thanks to Gus, Roxey, Tania and Graeme. Your hard work is so appre-ciated. And also the Toorloo Arm Fire Brigade for a champion community effort. Other willing and hard working backpacker helpers who packed and sorted bags. Glenn and Kim Leadbeatter also deserve a thanks for leaving a very thirsty Santa some liquid road side refreshments. 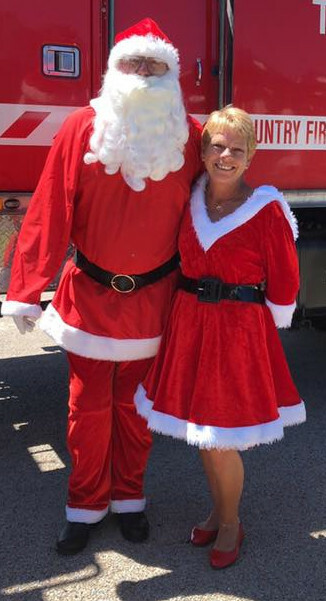 The arrival of the of the big red Toorloo Arm Firetruck heralds Santa's entry for 2018. 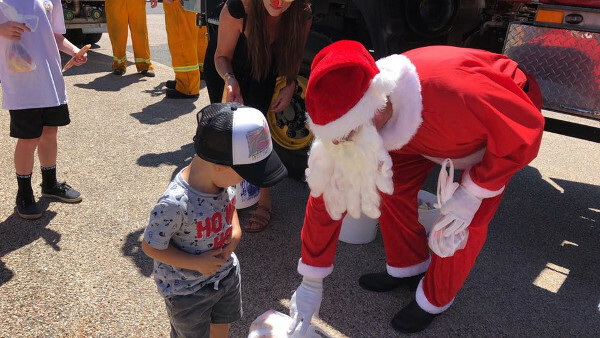 Christmas Morning at Lake Tyers Beach would not be right without Santa coming along and giving a little joy and delight to the local's children and visitor's children alike. They are all welcome at Lake Tyers Beach. 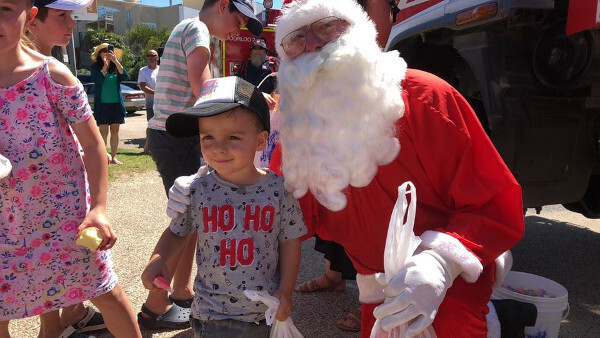 Santa and his hardworking helpers had been working for days getting the bags of sweets and iced lollies to hand out free to the kiddies. This time of the year has a great atmosphere and it is due to the generous people who give their time or donate money to this memorable Lake Tyers experience. Santa's suit is an institution in this area have been handed from a previous generation of Santa to this Santa. Thanks to all the helpers whose sense of fun helps make Santa happy and have a good day too!! and especially to Santa and his helpers especially, Roxey, Graeme and Tania - you know who you are!!! A fantastic community effort, a treat to delight local and visitor alike.